The motto of TED, as you surely know, is "ideas worth spreading". The idea - revolutionary, evolutionary, novel, or just a new take on something long established - is at the heart of every TED talk. All else must stand back. A benefit of this approach is that it scales: Depending on the amount of time you've been given for your talk (18 minutes max, but often less than that), you can decide how far you want to wander from the idea at the centre, exploring its surroundings. If you've been given less time, you can easily cut short that exploration. But this is a two-dimensional representation of your talk. When you're up on that stage, only one dimension matters: time. So you need to unravel your talk. Inevitably, you'll have to make a choice: Do you put the idea at the beginning or at the end? 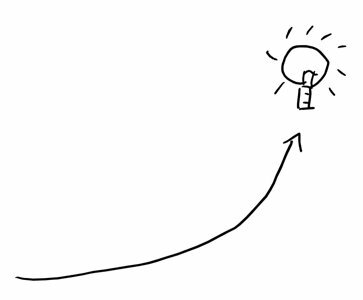 Putting the idea at the end may seem like the logical choice: First, you'll explain what the problem is that you're trying to solve and then you present your idea for a solution. This is the typical structure of most technical talks - but is it the best structure for a TED talk? The problem/solution approach is betting on an element of surprise, i.e. you hope that your audience will be surprised by the proposed solution. But you may be underestimating your audience. A technical audience as well as the typical TED audience may be ahead of you and see the solution well before you get to it. In fact, the solution may already be unveiled or at least hinted at in the programme. So don't build your talk in the hope of the surprise effect "wowing" your audience at the end; it may not work, or at least have less of an effect than you expect. Putting the idea at the end is still a good approach for many talks, though. If you're dealing with a complex situation, it's often a good idea to restate what the problem is and why it's not easy to solve, possibly including a few failed attempts. It will help the audience understand and appreciate the effort that went into the solution, even if they already happen to know what it is that you're going to propose. Putting the idea at the beginning may initially sound like a bad idea. Why should you play your trump card right at the start of the talk? What would you be talking about during the rest of your time? 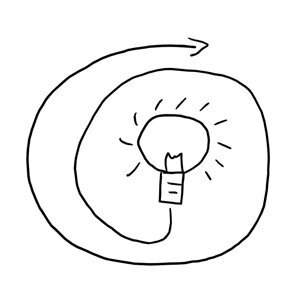 In fact, starting with the idea right away can be a good approach, especially for shorter talks. At the beginning of your talk, you have the audience's full attention. They will also remember best what you said at the start. Starting with your idea therefore has the best possible impact on your audience: You have their full attention, they will remember it better, and you may even surprise them. Which leaves us with the supposed problem of what to talk about for the rest of the time. Actually, this isn't a problem at all. Now that your audience knows what your idea is and is - hopefully - fascinated by it, you can take them on a journey of what that idea means - to them, to the world, to humanity. Since you already piqued their interest, they are more willing now to follow you on that journey. Which of the two approaches you choose depends on your topic. One of the two may be the obvious approach to you, but I'd like to encourage you to at least try out the other one, too, and see where it takes you. "Unravelling a TED talk" by Dirk Haun is licensed under a Creative Commons Attribution-ShareAlike 4.0 International Licence.